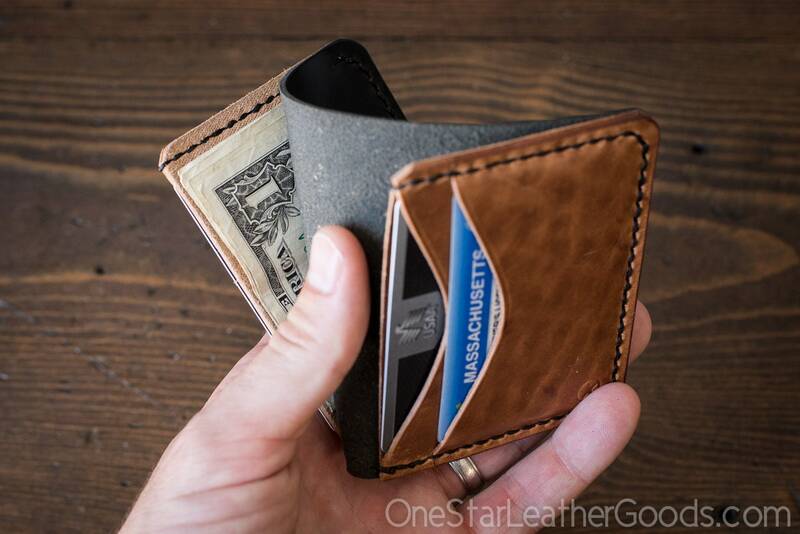 A compact, minimal wallet for folded bills and cards in Horween leather. Great in a front or back pocket. 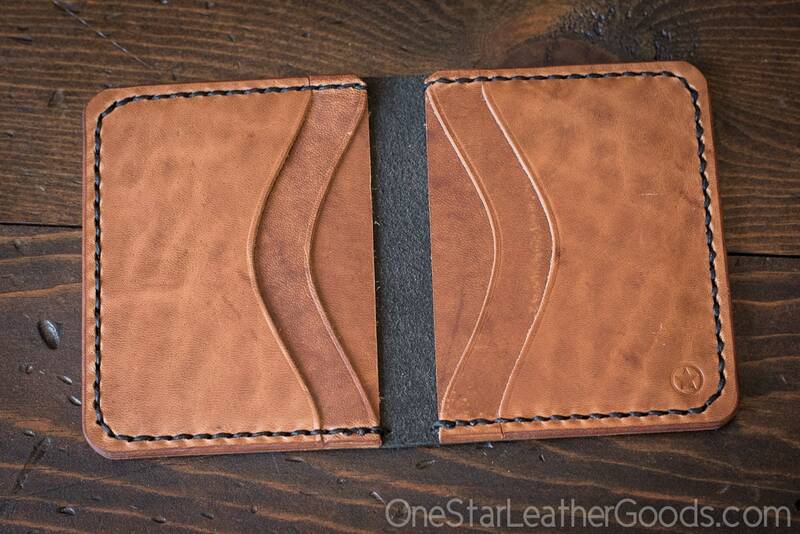 The same basic space and idea as my popular 6 Pocket Vertical wallet, but this one with inward facing card pockets. It is a simple, elegant design that puts a premium on functionality. 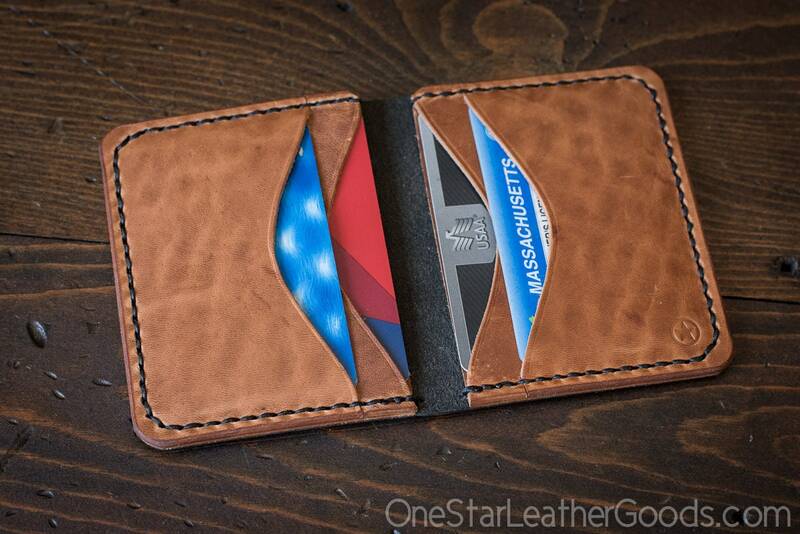 The card slots hold at least 2 cards each (more if you so desire as the leather breaks in). 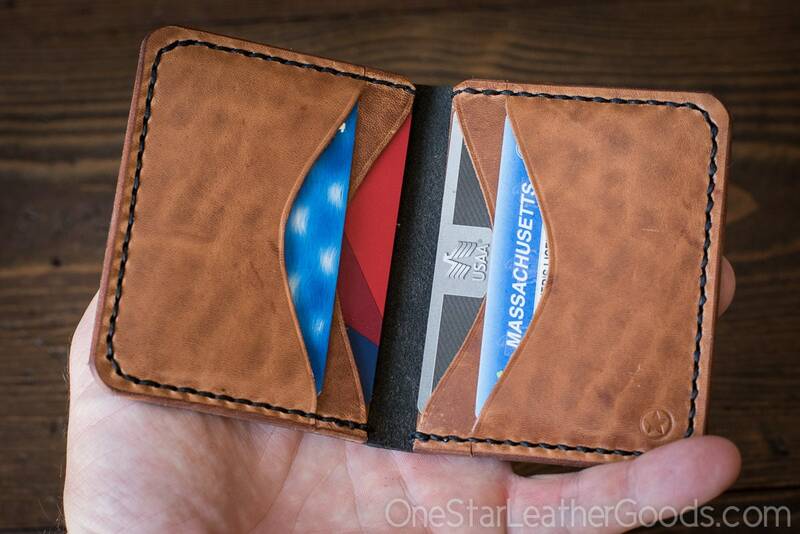 The large pockets behind fit folded bills perfectly and can also hold cards, business cards, receipts, etc. A partially open top means back pockets are easier to access: no origami necessary to get bills to slide in easily. Finely burnished edges and careful hand stitching means long term durability you can feel. Personally I prefer this model to the 6 Pocket Vertical because when closed, the cards face inwards towards the fold rather than up towards the open top, locking them in place. Superior quality Horween leather--Chromexcel exterior and Dublin interior. 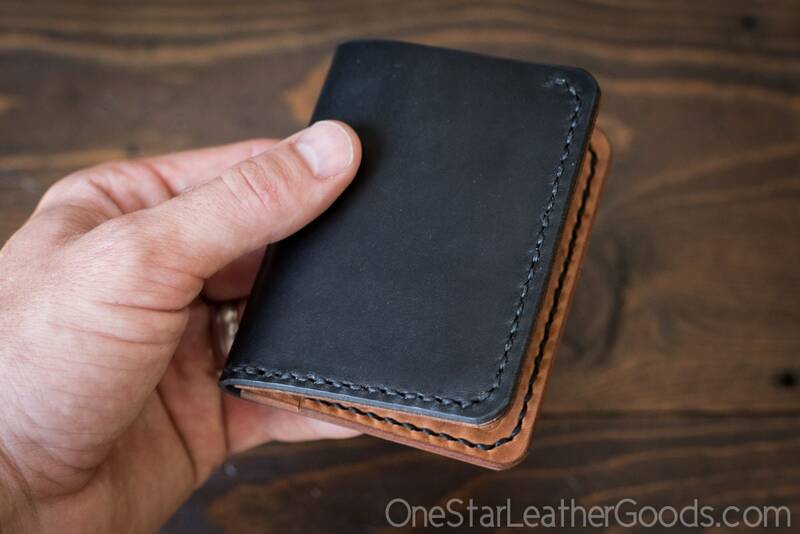 The wallet is beautiful and the craftsmanship is fantastic as always. It will last for years. I've purchased several items from OneStar in the past few years and I'm blown away every time. Worth every dollar.